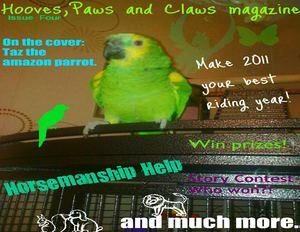 This is issue four of Hooves, Paws and Claws magazine. Loads of information, competitions and much more! Happy reading and Happy New year! !